Some will object that I’ve included a chapter on Saint Valentine in a book reflecting on the season of Epiphany. Since the beginning of Lent is not a fixed date, the Feast of Saint Valentine, depending on the year, can fall at the end of the longer tradition of Epiphany, or at the beginning of Lent. I have somewhat randomly decided to include it here as it begins to turn our sights from the theme of light in Epiphany to what I would argue is the main theme of Lent, which is Love. Covenant Love. 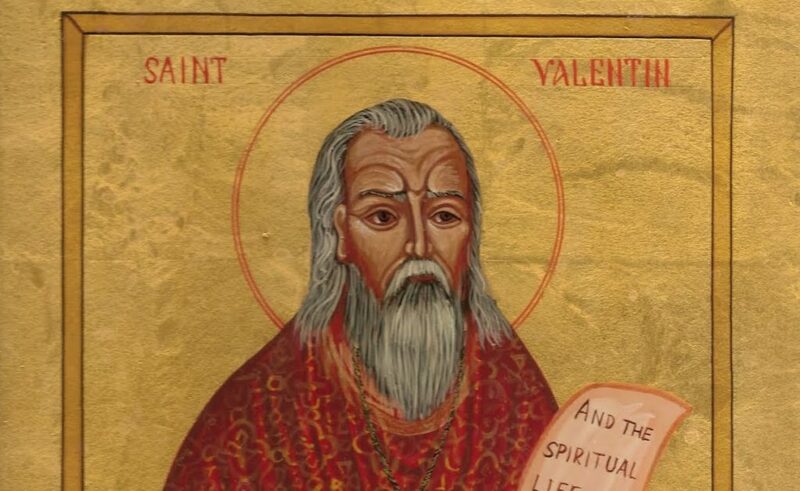 Indeed, little is known about Saint Valentine that is historically verifiable. His legend may well be a composite figure of several different men. Enough confusion about his identity exists that the Catholic Church discontinued veneration of him in 1969, though his name remains on its list of officially recognized saints. To be sure, this is a dubious legend. But it has a poetic veracity that is worth our attention. It is interesting to me how Saint Valentine’s Day, a day when we celebrate covenantal love, is perhaps hastily buried at the outskirts of Epiphany, on the border with Lent: a penitential season set aside for the Christian faithful to contemplate, with sorrow and tears, the devastation of infidelity. Liturgically speaking, Valentine’s Day functions like a set of binoculars to help us look through the wasteland of infidelity to the greening of Jesus’ “love that will not let me go.” When we consider how Valentine gave his life for covenant love, it isn’t a stretch to see him as reminder of Christ’s restoration of the covenantal relationship between God and humanity through the giving of his own life. It may be time for True Love’s disciples to dig up Valentine’s remains and carry them home, as it were, to be properly memorialized. For in our day, love has been so trivialized and distorted that movie marketers recently thought themselves clever to release Fifty Shades of Grey – a movie about denigrating, sado-masochistic eroticism – on, of all days, Valentine’s Day. More tellingly, they were rewarded on the opening weekend with sales of $85 million.